The class must be completed within 2 consecutive days. These 2 days will consist of class hours and skills demonstration and check off.The 10 hours of class time will be composed of lectures, watching videos, taking exams and quizzes. The 6 hours lab time will consist of learning in the lab, practice and skills check off. Students must score 100% on skills check off and 90% or greater on 2 classroom exams before allowed to register for the ACMA GI/RESP. state exam. After completion of our ACMA GI/RESP program, student/trainee will be issued with a verification form, signed and dated. Upon successful completion of the ACMA GI/RESP training, competency evaluation program and passing the Oklahoma state exam for ACMA GI/RESP, the student will be registered by the Oklahoma Nurse Aide Registry and a ACMA certification number shall be issued. You will be listed on the OSDH Nurse Aide Registry. Students seeking certification as a ACMA GI/RESPIRATORY must score 70% or higher on the state examination. Students must also pass the skills check off part of the class with a 100% accuracy. ***NOTE*** Students have 3 attempts to pass the ACMA GI/RESP state exam. Failure to pass after the third attempt, students will be required to retake the whole course and submit new payments for both, training cost and state exam. 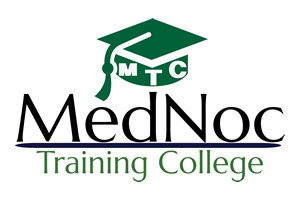 MedNoc Training College Application from. Payment of the Cost of this Training and State Certification Testing fees. Oklahoma Nurse Aide registry requirements. Affidavit of Legal presence status documentation. You must sign and date this document and must be presented for testing. Physical and mental capability to safely perform duties. MedNoc Training College shall charge the following fees for Advanced Certified Medication Aide training. The fees must be cleared in full before the student is issued with Verification Form and be allowed to take the State examination for the Advanced Certified Medication Aide. If fees are not paid in full, even if the student drops before finishing the program, the skills checklist will not be issued or other academic documents. Unpaid fees balance must be cleared up before the last day of class. If student leaves the program with unpaid balance, the remaining balance shall be turned to the collection agency and legal action will be taken for garnishment order. All folders and Text books issued to students must be returned before the completion certificate and OSDH-NAR form can be submitted to the nurse Aide Registry. Note: Payment plan can be made with the Vice President. However, the whole balance must be cleared and paid in full before the student can take State Certification Examination. No records will be issued to the student if he/she has a hold on fees. MedNoc Training College is a member of the National Healthcare Association and the Pharmacy Technician Certification Board.